You may think when it comes to hard work and talent, you are the best there is, but unfortunately your employer may not always reflect this in your pay packet. The truth is, if you want a pay rise more when working in property you have to prove yourself and show that you can bring in the clients in as well as the money. Nothing will come to you overnight, and the property market can be a cut throat sector at times, so you will have to make sure you prove your worth.It will be hard to get a pay rise and prove how much you are worth before you start any job, so if possible you should try and negotiate with your employer when you start. Don’t be put off by doing this, if anything it shows your keenness to work in the role and your commitment to the job. Don’t just ask for a pay rise outright, but do some kind of deal with them whereas is you bring them so much business in, or they are happy with your first six months at the firm, then they will give you a small pay rise. This will all add up to make your pay packet being bigger at the end of the month. One of the sneakiest but most effective ways to get a pay rise from your first job is to play one employer off against the other. This can only prove successful if you have been offering more than one job. You may want to take one job, but another may have a bigger salary, don’t be afraid to tell both employers that you are getting offers from elsewhere and what they are offering you. An employer may call your bluff and tell you they don’t intend to offer you anymore money, but you will have lost nothing. If you end up taking the job with the lower wages, at least the firm will know how much you wanted the job. Before you embark on the challenge of getting a higher wage, look at the situation realistically, look at other firms and see what salary they are offering their staff that are working in similar positions. If you really think that you are being underpaid then bring this up, but remember not to be pushy, try to turn negatives into positives. Use the opportunity to point out all the good work you are doing and the commitment that you have shown to the company. it is important to never look defeatist even if you have been turned down, once you have planted the seed, your employer will hopefully be thinking about it and when the situation arises again you will have a better chance of getting more pay. 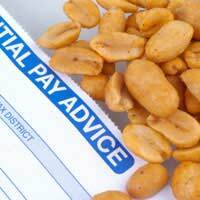 Many people can be put off and not know how to ask for a pay rise. One of the great things about the property market is its entrepreneurial style, you can start off with nothing and build a business up. You may start off in property on very little pay, but once you have put in the elbow grease you will be in a good position to start making demands.